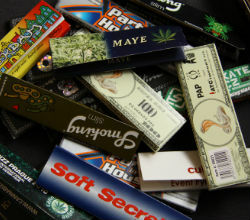 Is Rolling Paper Depot a headshop that's worth your time and money? Keep reading to find out! One of the biggest places online for rolling papers is appropriately named “Rolling Paper Depot.” However, the shop has more than just rolling papers – they also carry cannabis gadgets and smoking accessories. 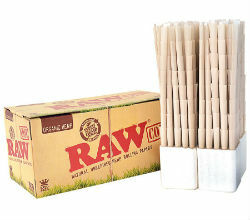 So in reality, Rolling Paper Depot (RPD) is truly more of a headshop than a rolling papers superstore. The question is, how does RPD stack up as a headshop? Is it worth your time and money? 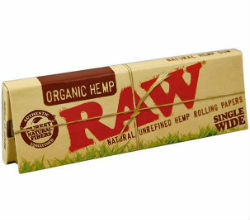 Check out the following Rolling Paper Depot review to learn more. Based in Tempe, Arizona, Rolling Paper Depot was founded by Jarrod Smith with an initial investment of less than $2,500. Smith was not new to the world of entrepreneurship; he had already launched many startups. In fact, he started his first business in sixth grade – selling Blow-Pops. 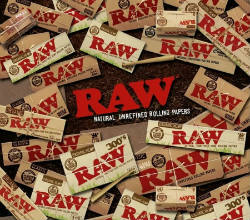 The idea for RPD came to Smith when a catalog of rolling papers landed on his desk at work. His initial vision was to create a wider selection of rolling sheets than was available at most smoke shops and gas stations. He wanted these papers to be high quality and for his company to provide excellent customer service. Smith enlisted Jay Smith, who is today the company’s CEO, and soon Rolling Paper Depot was born. 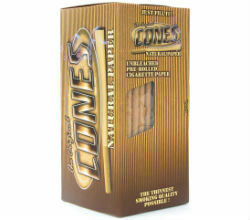 It originated in Scottsdale, Arizona, where the two men were already in the smoking industry (working primarily with cigars and tobacco). RPD launched online in 2006. While the company started out offering just rolling papers, it later expanded to sell weed accessories and gadgets including grinders and scales. 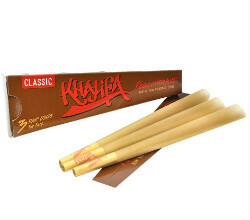 As of %%current year%%, it has become more of an online headshop than anything else, and it has a high appeal for roll-your-own (RYO) enthusiasts. Everything at Rolling Paper Depot is done in-house by a handful of employees. 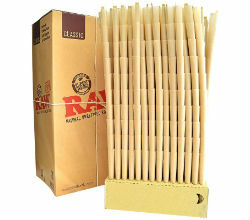 How Wide Is the Selection at Rolling Paper Depot? When looking for a great online headshop, selection matters – especially if you don’t want to have to place orders with various companies and wait for multiple shipments. 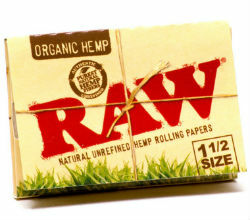 Thankfully, Rolling Paper Depot has an extremely wide selection of much more than just rolling papers. 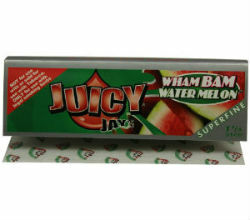 They also carry grinders, rolling trays, scales, storage accessories, and much more. Here’s a look into the selection you’ll find at Rolling Paper Depot. Given that the company began with rolling paper as its focus, it seems logical to assume that RPD would have a good selection of papers. Customers who take a stroll through RPD’s selection of skins find themselves will be quite pleased to find more than 50 brands of papers available in their online store. 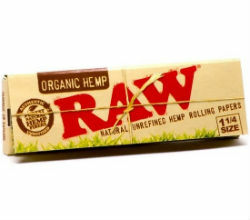 Types of papers include: Regular Papers, Hemp Papers, Premium Papers, Rare Papers, Clear Papers, Flavored Papers, Papers on a Roll, Pre-Rolled Cones, and Ungummed Papers. 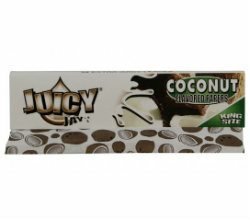 Rolling Paper Depot carries a lot of popular brands, such as: RAW, Rizla, Juicy Jay’s, Smoking, Zig Zag, Shine 24k Gold, OCB, Elements, and many more. Thankfully, the brand names are sorted by alphabetical order to help you easily find the one you want. There are also lesser-known names, as well as foreign brands such as Adabie. 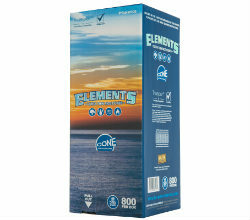 RPD offers different paper sizes within the categories, although you won’t find every brand’s full inventory at the headshop. 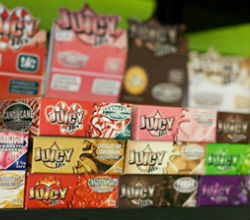 Altogether, the variety of brands and rolling paper products at RPD is impressive. 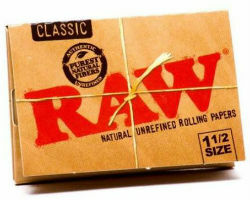 They have arguably the biggest selection of rolling papers online. They definitely have more selection than the average American convenience store or brick-and-mortar headshop. Plus, you can buy a whole box, half box, or single-pack quantities for a lot of the products, which is great if you want to experiment with new brands. 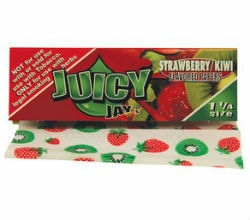 Rolling Paper Depot offers pre-rolled cones too, in both paper and clear. 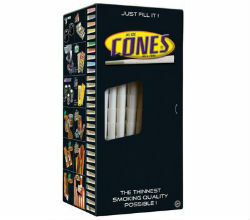 If you are not confident at rolling or want a great way to smoke up on the go, cones might interest you. Different sizes include King and 1 1/4, among others. RPD carries cone filling machines too, which are designed to make filling cones faster and easier. 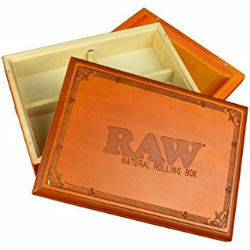 Rolling Paper Depot stocks manual and electric weed grinders, depending on your preference. There are many different kinds, including two- and four-piece varieties made of wood, plastic, or metal. 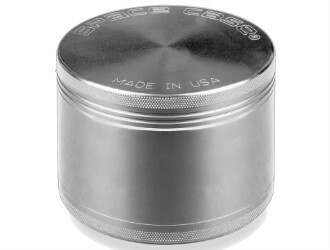 The grinder selection also includes small travel grinders and larger ones for at-home use. Find them in various colors and with or without kief catchers. 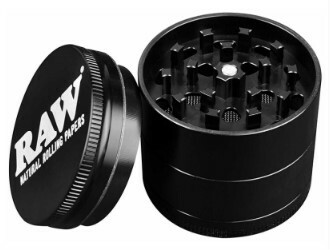 Each product page contains a description of the grinder and user reviews (if there are any yet for it). 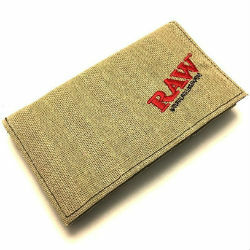 Among their extensive selection, RPD even carries two versions of the RAW Shred Case (the RAW Shred Case 300 and the RAW Shred Case 1 1/4) to put in your purse or pocket for easy grinding on the go. Given that you want to keep your stash safe, it makes sense to store your buds in a proper can or case. 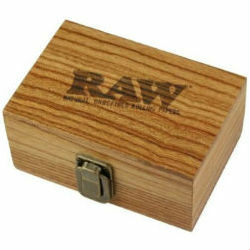 Rolling Paper Depot carries unique stealth stash devices, including an Ajax Can Safe and a safe disguised as a book. There are also CannaFresh jars for storing your weed to keep it fresh. In total, RPD has more than 100 storage units (including stealth safes). Impressive. 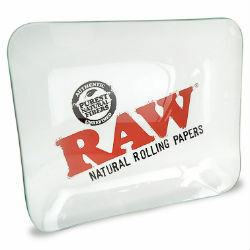 Rolling Paper Depot carries a range of cleverly-designed rolling trays. Whether you choose one that’s big or small, simple or complex, a rolling tray can improve your rolling experience by saving you time and simplifying your RYO routine. 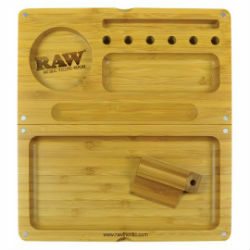 RPD carries more than 15 rolling trays, giving you a lot of choices. 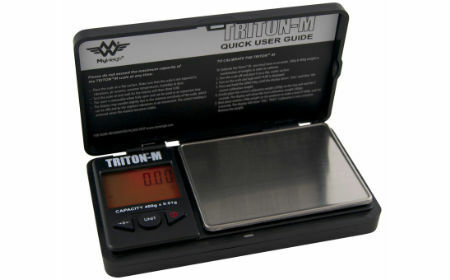 There are a lot of different weed scales in stock at Rolling Paper Depot, including mini pocket scales like the MyWeigh Triton 2 Mini Scale. RPD also has scales that would be hard to find elsewhere, like the ProScale BoomBox 200 Digital Scale that looks like a boombox but is actually a very cool stealth scale. The assortment at Rolling Paper Depot is endless. 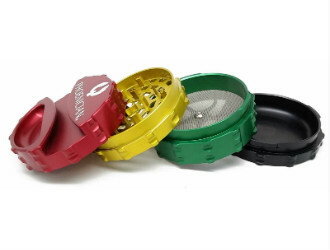 You could spend days browsing around their site at the various categories of cool stuff that includes: Rolling Machines, Rolling Trays, Ashtrays, Digital Scales, Grinders, Filters & Tips, Carrying Cases & Bags, Storage/Stash Boxes, and more. RPD carries too many types of items to list in just one review. 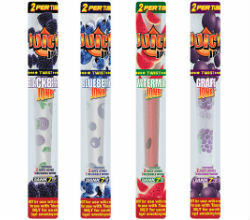 You can also get sampler kits as a way to try out new brands and fun flavored products. The only drawback to Rolling Paper Depot’s selection is a glaring absence of bongs, pipes, and bubblers. One factor that makes an online head shop truly great is having competitive pricing. 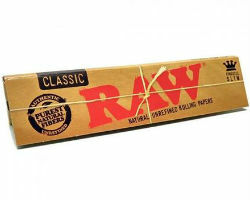 People who hit the internet searching for Rolling Paper Depot discount codes and coupon codes have no need to, however; RPD already has rock-bottom prices even on its most high-end products. How do they do this? Rolling Paper Depot sells a lot of products on a per-box basis so that they can keep their pricing as close to wholesale as possible. Their prices are also low because they maintain a small team, which minimizes overhead costs. 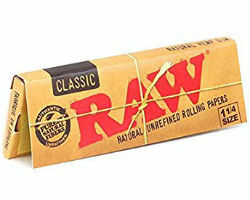 To get the best value for rolling papers, it’s cheaper (in the long run) to buy the full box rather than a half box or single pack. The prices at RPD are competitive for each of the product categories. They also always have a wide variety of items on sale. This means that you won’t have to spend time comparing prices online and that you can order all your gear from one place. You can order everything without even leaving home. There is no need to make a trip to a local shop; instead, you can order through RPD while you lounge on the couch in your pajamas or sweatpants. Hey – there’s nothing wrong with that! If you do find a better price elsewhere from an authorized provider, simply show Rolling Paper Depot the competitor’s price and they’ll match it. 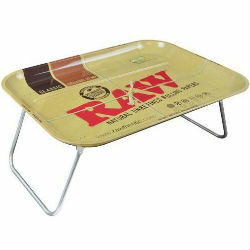 This means that you’ll never overpay on RYO supplies again. 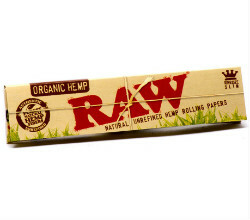 Rolling Paper Depot: buy all your cannabis-related products online in one place. To place an order at Rolling Paper Depot, you must first create a free account, which is a straightforward process. It only takes a few minutes. The headshop accepts payment by credit cards. You can use Visa, MasterCard, American Express, or Discover Card. Transactions through the site are secured by an encryption software called Secure Sockets Layer (SSL), so you can rest easy using your card in this safe environment. One drawback is that Rolling Paper Depot does not offer PayPal. They address this issue on their website, explaining that they used to offer PayPal but had problems with it. When they received a phone call from PayPal accusing them of dealing illegal drugs and demanding they remove any mention of their name from the platform, RPD did so immediately. While RPD maintains their innocence, they have not determined a way to appeal the action and therefore do not have PayPal as a payment option. The shipping policy at Rolling Paper Depot receives high marks across the board. 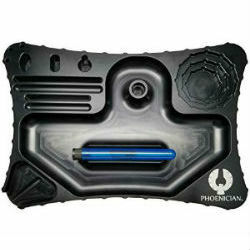 The company ships within 24 hours or the next business day from their Florida warehouse. Online reviewers frequently post favorable remarks on the shipping speed. You can even get free shipping on certain items. If your order is $100 or more and you choose ground shipping within the U.S. (except in Hawaii or Alaska), your shipping will be free. In a world where few things are free anymore, this is definitely an awesome offer! In addition to the U.S., RPD also ships to Australia, Canada, China, Denmark, France, Germany, Greece, Italy, the Netherlands, Norway, and the United Kingdom. Express shipping is available too. The headshop uses Fed-Ex or USPS as their U.S. carriers. Discreet shipping is provided for every order, and you always get a tracking number when your order ships (which reduces the chances of it getting lost). The package arrives in a white or brown box with only the address RPD.com shown on it. An adult signature is required to receive the package. How is Customer Service at RPD? Just a glance at Rolling Paper Depot’s Facebook page shows that many customers have had good experiences with the company. Of course, no business is perfect, and there are some negative comments; one customer complained about an order supposedly being held by the courier and felt that RPD’s response to the customer’s phone call about the issue was unfair. 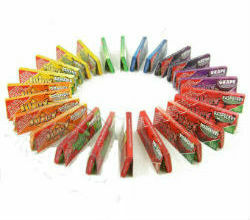 Customers can reach Rolling Paper Depot customer service in many ways. You can contact the team via telephone, fax, an online contact form, or social media sites. They are open Monday through Friday and typically return customer messages within a day during weekdays. If you contact them on the weekend, expect to wait until Monday, which is not an unreasonable time frame. If you want to return your order, you can do so – but only for store credit or refund. They have a strict return policy that specifies you must contact the head shop within two business days of delivery of the item. No returns will be accepted if RPD isn’t contacted after the two-day limit because of the increasing risk of damage to the product. This is a shorter return period than some head shops, so it’s good to know it up front. Customer reviews, forum discussions, and online ratings all point to one thing: Rolling Paper Depot is one of the most highly-regarded and recommended online headshops in the cannabis market today. 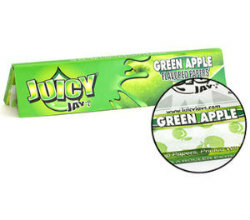 It is legit and reliable – definitely an excellent resource for a huge variety of rolling papers and other cannabis-related gadgets and accessories. Of course, no head shop is without its flaws. Rolling Paper Depot lacks in some areas, as pointed out earlier in this review. For example, they do not offer PayPal as a payment option. 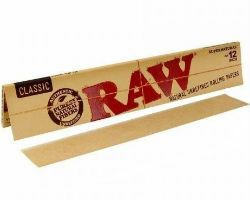 Regarding price, though, Rolling Paper Depot is competitive and offers a price-matching provision. 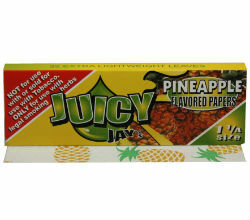 The selection of rolling papers is vast, including many top brands and all sizes of papers. 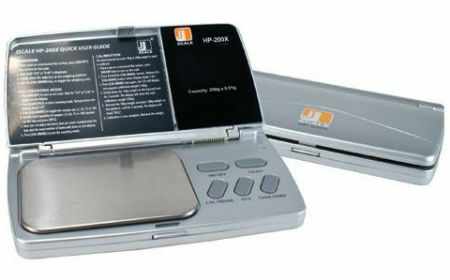 They offer a wide range of cannabis accessories, including digital scales, rolling trays, and grinders. Many customers hope they will start to sell bubblers, bongs, and marijuana pipes soon, as well (and until they do, RPD is definitely missing out on a big share of the market). The head shop values its customers, as shown by the fast replies to product inquiries, the speed of shipping, and discreet packaging. It’s also nice that the website has embedded SSL technology to help keep their consumers safe. 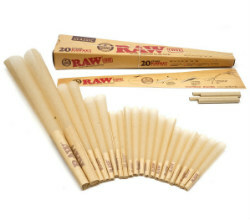 Looking at Rolling Paper Depot in its entirety, it’s a head shop that offers great overall value. 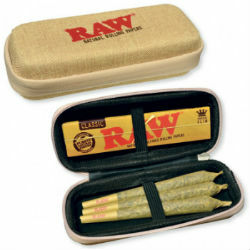 It’s also a major benefit that RPD is a one-stop shop for rolling papers and roll-your-own accessories. Plus, if you want to experiment with brands, you can do so at an affordable price; both popular and lesser-known brands are available at the headshop. In other words, variety abounds at RPD! Given these strong qualities, it’s understandable why Rolling Paper Depot is a leader in rolling papers and supplies for RYO enthusiasts. RPD carries quality products and has great customer service to back it up – just as Jarrod Smith envisioned when he first started the company. Online Headshops - A handy guide to finding the best online headshop for pipes, papers, bongs, and all cannabis equipment. Customer service has gone done, like most businesses, when they grow they hire more and more people and those people don’t carry the original passion the creators started with. So what you get now is low quality, poor customer service. Would suggest you find another site, they’re all similarly priced so may as well chose the guys that treat you best and RPD doesn’t anymore.